Have those puppy dog eyes finally done the trick, and you’re about to reach over and share your food with your dog? Wait right there. 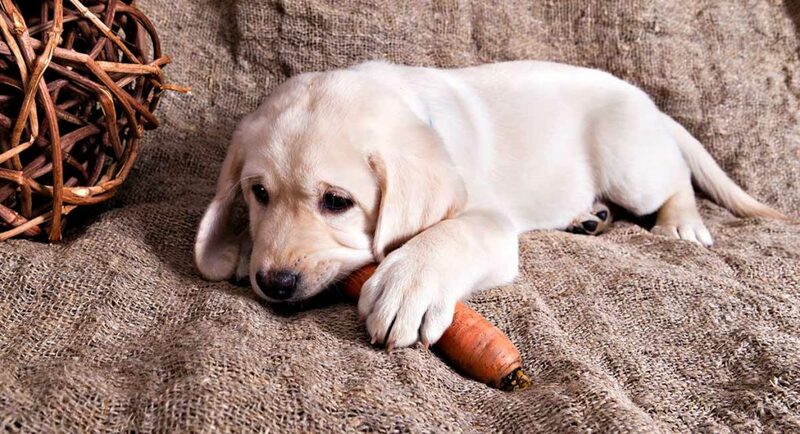 Not everything is on the menu for our four-legged friends, and we might need to adjust our meal plan if we want to sit at a table for two. This means both raw and cooked carrots, too. This vegetable is low in calories and has a high fiber content. Team that with carrots’ essential vitamins and minerals, and it looks as though we could be onto a winner. Just be sure to cut them into small pieces before feeding. 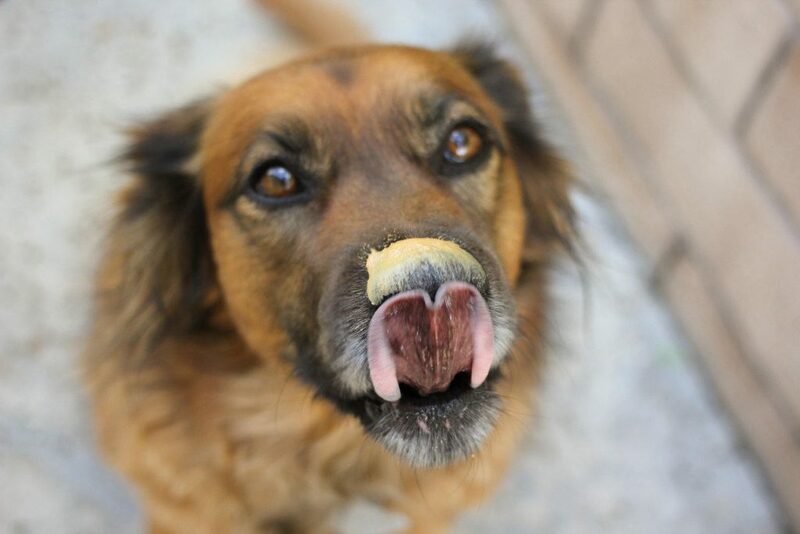 Cooked eggs have almost every type of vitamin and mineral that your dog needs to be healthy. Plus, they are an excellent source of protein for our four-legged friends. Some people even believe that cooked eggs can help alleviate a dog’s nausea, but this hasn’t been proven. Salmon is great for humans thanks to all those omega-3 fatty acids, and it looks as though they can work just as well for our dogs, too. In fact, they often leave our canines with healthy skin and fur as a result. Just be sure to make sure it’s cooked to avoid any illnesses. Many chew toys can be filled with peanut butter to help keep them entertained. Why? It’s loaded with protein and vitamins to help keep them happy as well as being a cheap option for many. Just make sure to choose organic options to ensure there’s no added salt or preservatives. This is a perfect addition if you want to give your dog something a little extra in their food bowl. The best thing? You can even entirely replace their meal with cooked chicken if you find yourself out of dog food and far from the store. It’s the protein and calcium that makes this such a popular choice with dogs. The best bit? It’s completely safe for them to eat - as long as there are no added sweeteners or sugars. Thankfully, the probiotics can even give your dog’s digestive system a boost. Slices of apple are a great way to help your dog clean their teeth without adding any unnecessary calories to their diet. 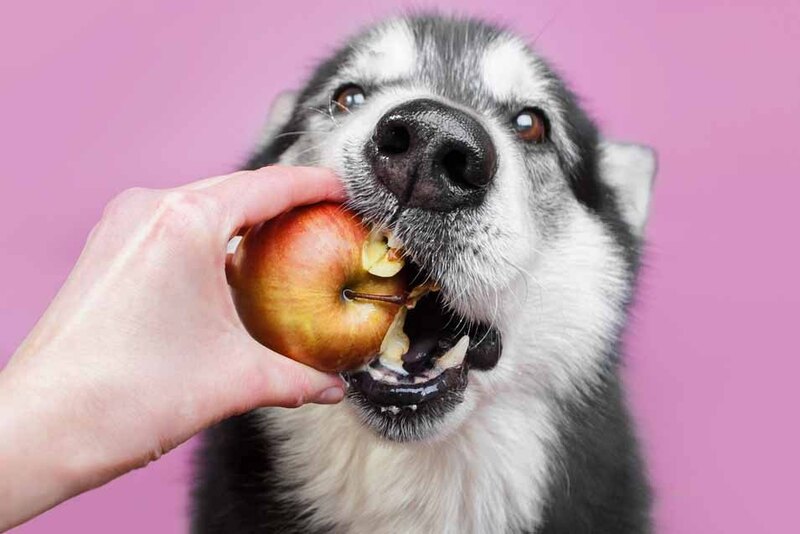 Apples can also be a way to help keep your dog’s breath fresh while giving them a boost of vitamins C and A, too. Senior dogs are likely to benefit from a bowl or two along the way thanks to the high fiber content as oatmeal can help to regulate many digestive systems. Oatmeal is also a brilliant alternative for any dogs with an allergy to wheat. Thankfully, it seems as though we can still have many of our favorite meals and make enough to share with our dog, too. It could soon be time to set another place at the table and prepare for the ultimate dinner date with our four-legged friend.